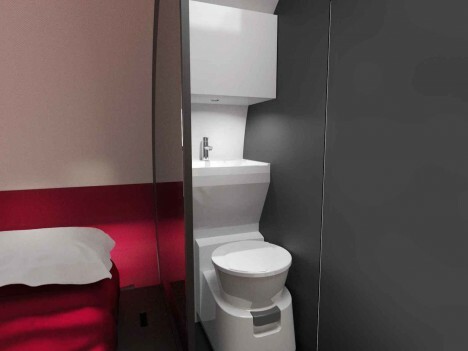 The 3X trailer deploys with the push of a button, tripling its interior space in a matter of seconds, turning a cramped road can by day into an expansive set of rooms at night. 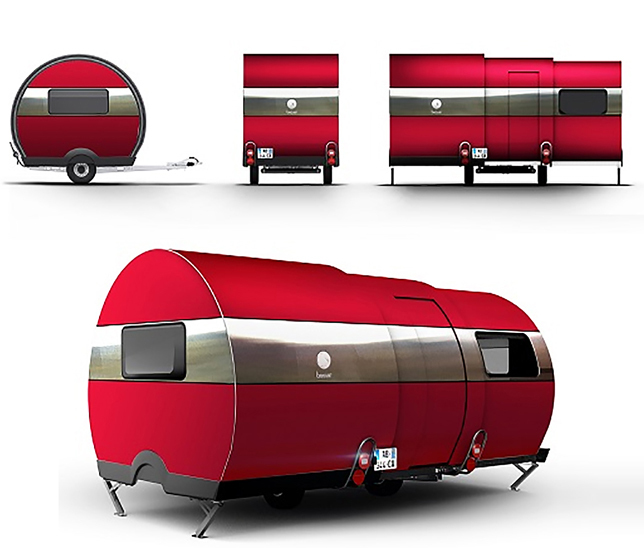 Designed by French company Beauer, the nesting camper is about 8.5 by 6 feet in its travel-ready configuration, but the shorter dimension turns in the longer one (15 feet) when deployed. Its fixtures conveniently slot into place, unfolding to become parts of a set of bedroom, kitchen, living and dining areas (complete with refrigerator, stove, microwave, sink and toilet). Portable tanks for potable and gray water systems are also included. Its compact configuration is ideal not just for taking it on the road but storing it in parking spots, driveways or garages when not in use. With a price tag of around $25,000 USD, the units may not be cheap but come packed with amenities. Currently for sale in France, plans are in place to expand sales throughout Europe and eventually around the world. 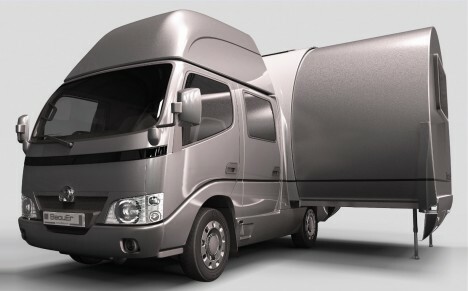 A larger variant with built-in towing vehicle (shown above) is also in development, utilizing similar space-saving and expansion strategies in addition to other caravan buildouts. Perhaps one model or another could take the action as its name: the Tripling has a nice ring to it.